A guest article from correspondents in Cuba. Aracelio Iglesias Díaz was one of those people who cannot be erased from history. He was born to a humble family on June 22, 1901, in Consolation del Sur, in Pinar del Rio province, Cuba. When only 13, he was orphaned, losing both his father and mother. Then he moved to Havana and began to live in Regla. His laboring life began at 15 when he started to work on the docks at the port of the Bay of Havana. He related to the workers, and felt through his own flesh and muscles how dock workers were exploited. Aracelio was shaped as a revolutionary through his own harsh experience as part of the working class. Already possessing a broad political viewpoint, he joined the ranks of the Communist Party of Cuba in 1931. Gerardo Machado ruled Cuba from 1925-33. In 1933 when a strike against the Machadist tyranny was declared, Aracelio played an important role as one of the organizers of the strike in the port sector. After the fall of the dictator, Aracelio devoted himself to recruiting comrades to the party from the dock workers. A tireless fighter for workers’ rights, he became a proletarian leader. Then he was held in the prison on the Isle of Pines (now called Isle of Youth). After three years behind bars, he was released. Life in prison did nothing to diminish his revolutionary convictions. On the contrary, upon his release Aracelio resumed his activities as a revolutionary and a union leader. Aracelio is especially noted for standing up to the Ward Line shipping company. 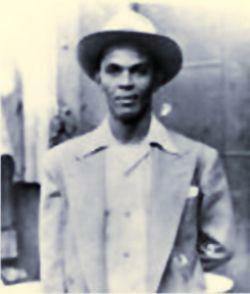 In 1938 he was elected financial secretary of the Union of Longshoremen and Laborers of the Port of Havana. One year later, he became its general secretary. In January of the following year, during the Constituent Congress of the Workers’ Federation of Cuba (CTC), he joined the Executive Committee of this organization. In 1946 he became secretary of the Working Maritime Federation Local of the Port of Havana. During his leadership, this body succeeded in implementing the rotational list in the port, a system that gave all the longshore workers the opportunity to work. The Bay of Havana was the only port during World War II where a subsidy was charged for docking in the port, in this way also assisting the workers of the interior of the country. When ferries and sea trains were introduced to the port, an innovation that meant reducing the workforce, Aracelio won a regulation that established a proportion between the load, the number of necessary workers and their wages, to avoid massive dismissals. During this time, payment was won for vacation days and 48 hours pay for working 44 hours. 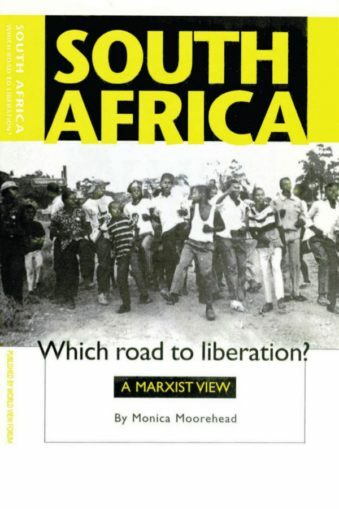 As a Black man, a communist and a labor leader, Aracelio was always concerned about what the exploiters, Yankee imperialism and the successive capitalist-linked governments of Cuba, were up to. It was not by chance that, during Ramon Grau San Martin’s presidential term, the repression of the labor movement and its united leaders was constant. Repression was aimed especially against Jesús Menéndez, leader of the movement of sugar workers, and Aracelio Iglesias of the port workers. Because of Aracelio’s tireless struggle as head of the union, leader of the workers, and a communist by conviction, and because of the victories he ripped from the employers, he was characterized in the Yankee press as the “Red Czar of the Port of Havana.” Because of that, under direct orders from the U.S. government, the Cuban government of Prío Socarrás ordered his murder. Aracelio was brought down by assassins’ bullets on Oct. 17, 1948, at the headquarters of the Union of Port Workers. But his murder did not stop the struggle. It was one more motive for continuing it. Today the Cuban workers do not forget you, Aracelio Iglesias. They remember you as an upright, serious and very sociable man, who was concerned for others. They know that you did not grow arrogant due to your qualities as an exceptional leader, but that, with a natural ease, you helped your comrades who were within your reach.